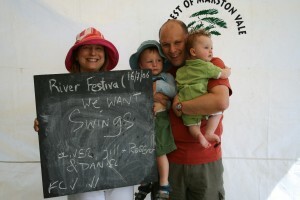 Between June and September 2006, we took information boards, leaflets, pencils and a photographer to lots of locations in the area and talked to many hundreds of people about the Bedford River Valley Park. We visited a range of events and places including Bedford River Festival, Shortstown Fun Day and Priory country park. We received over 1600 comments in all.